Architecture is about more than just drawing up blueprints. Architecture is about combining the skillful design of space with experience and knowledge of construction to create buildings that will stand the test of time. Designing a home can be an even more daunting task, in that it is a very personal endeavor, that at a minimum, should offer a reflection of the owner’s lifestyle and character, but ideally should result in a timeless expression of beauty and stability. To become a licensed architect, one must obtain specific educational degrees, must complete a minimum three year rigorous internship, must complete exhaustive continuing education requirements each year, and must annually maintain state mandated standards of licensure established for the architectural profession. As Asheville based architects for over 15 years, ACM Design has worked with clients in a variety of communities in and around the Western North Carolina, Upstate South Carolina, and Tennessee including Asheville, Hendersonville, Cashiers, Highlands, Brevard, Black Mountain, Greenville, Kingsport, Knoxville and many more. Our work centers on helping our clients realize their dream of designing a home that works for their needs, both aesthetically and functionally. We have developed Service Packages that can be customized for each client to meet their specific needs. (link). 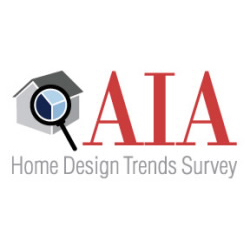 Our home design blog focuses on helping homeowners understand the construction process and how working with an architect can improve that experience, the steps of designing a home from the ground up or improving an existing home through renovation, and how our firm strives to raise the bar in architectural design for every project. The architecture blog topics offer perspective on a variety of topics from home styles, such as Craftsman, Modern, and Mountain Vernacular, to local architecture and design in Asheville and Western North Carolina, and even the process of how custom homes are designed and built.